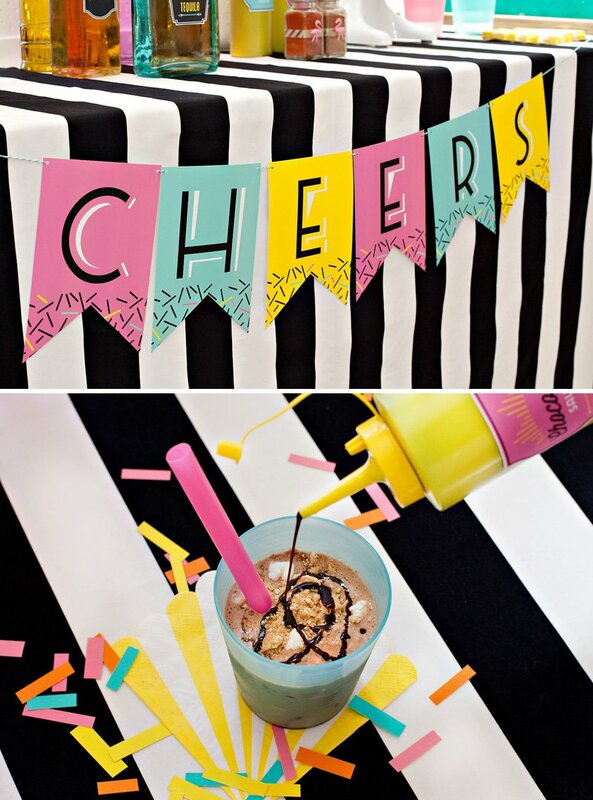 Home/Posts/Adult Birthday, Cocktails, Styled by Jenn/Retro Fun for Grown Ups: A Cocktail Milkshake Bar! As the saying goes – I scream, you scream, we ALL scream for ice cream” – and that includes the grown-ups! And being one of these ice-cream-loving-grown-ups myself, I was super excited when California Milk Advisory Board asked me to design a Cocktail Infused Milkshake Bar for them, in celebration of National Ice Cream Month (July). That’s right, folks… this table is filled with everything you need to make those tasty milkshakes that we all know and love, but served up with an adult-friendly kick! 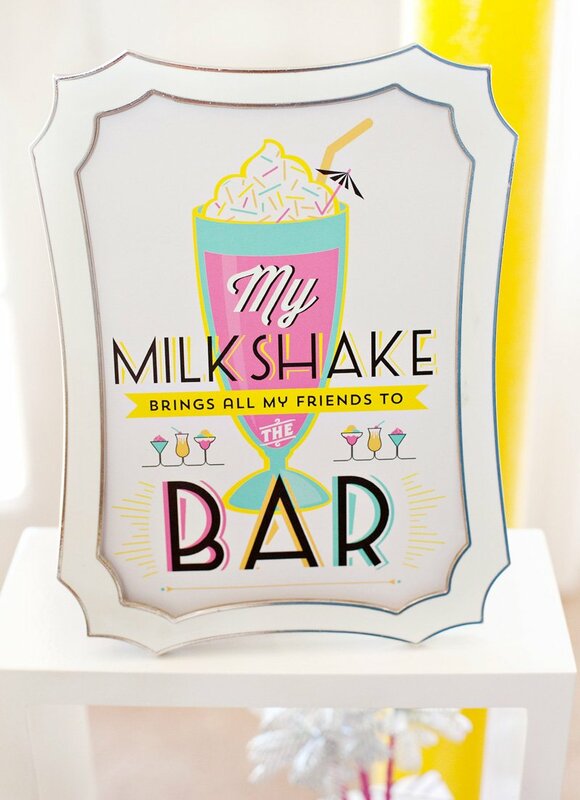 Download this milkshake sign + lots more fun designs below! 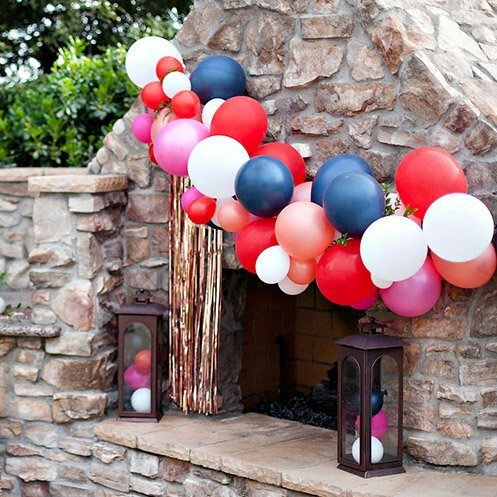 When it comes to a make-it-yourself station of any kind at a party, it’s important to keep the elements organized and functional for your guests. I started by dividing the table into 3 clear-cut sections: SCOOP (the ice cream made from Real California Milk), SPIKE (the mixers), and SHAKE (the blender). 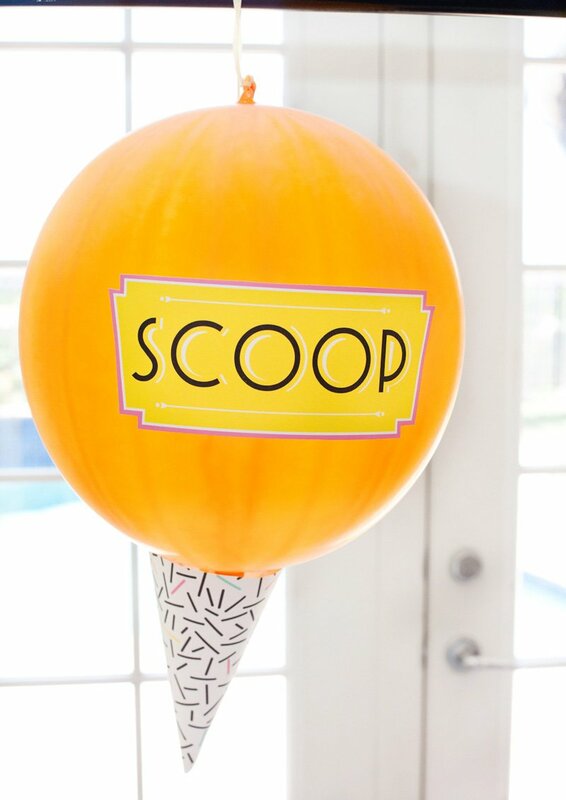 Giant ice cream cone balloons served as fun signs! 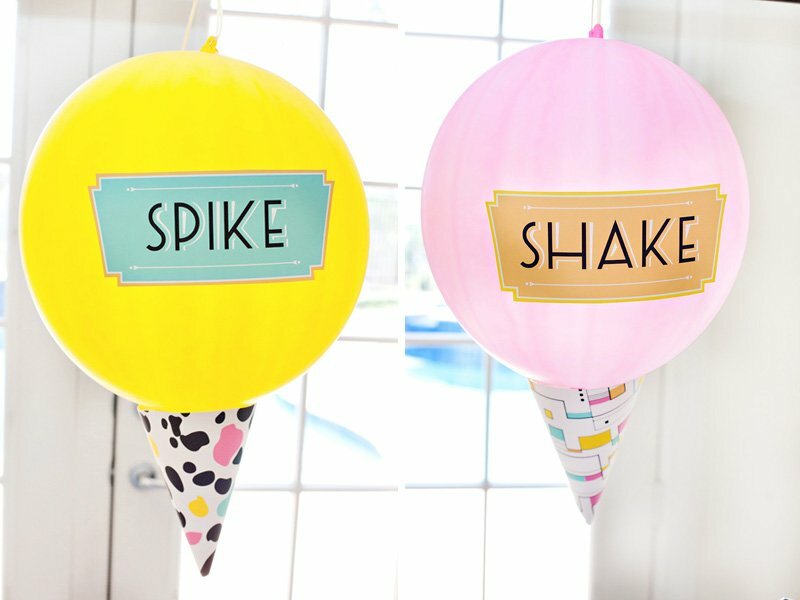 I made these balloons from punch balloons + printable ice cream cones. 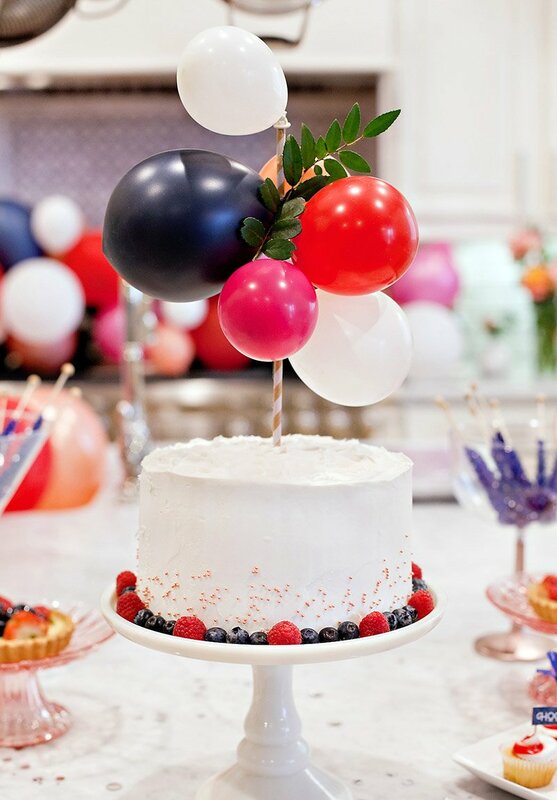 The cones are attached to the balloon with 3D glue dots, and since punch balloons come fitted with a rubber band at the top, they are naturally quite convenient for hanging. The SCOOP section of the table featured ice cream made from Real California Milkin chocolate and vanilla flavors. (Look for dairy that bears the Real California Milk seal.) 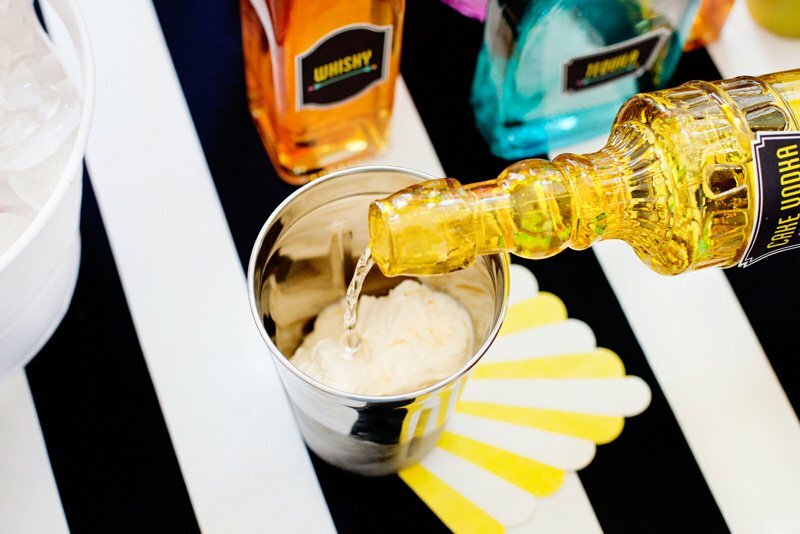 It’s best to keep things simple with just 2-3 versatile ice cream flavors, since the mixers and toppings will naturally create lots of different drink options for your guests. 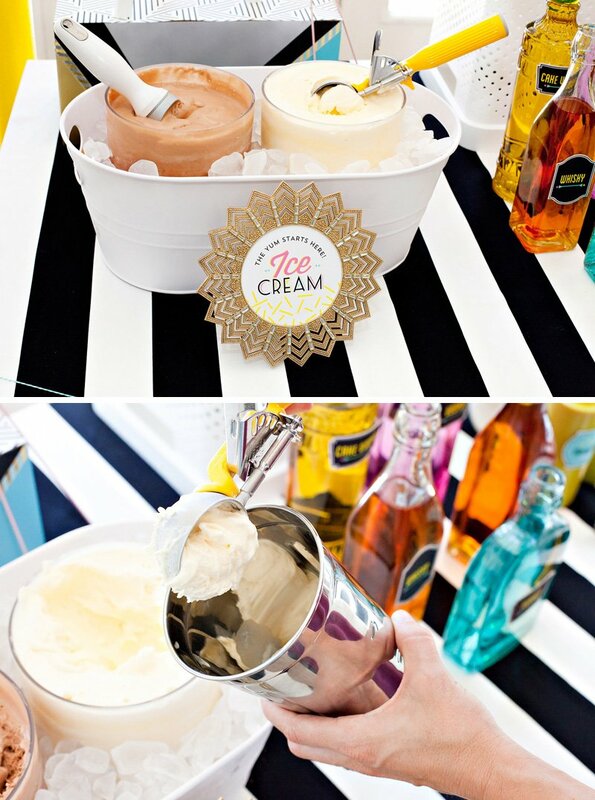 I used clear acrylic containers to serve the ice cream and placed the containers in an ice-filled beverage tub to keep them cold. 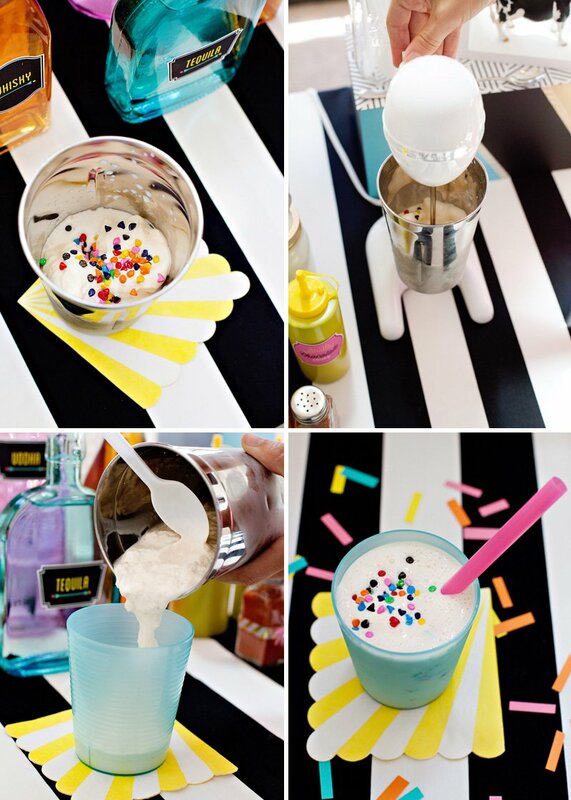 You do want the ice cream to be a little bit soft when served though, so that it’s easier for guests to scoop and mix. 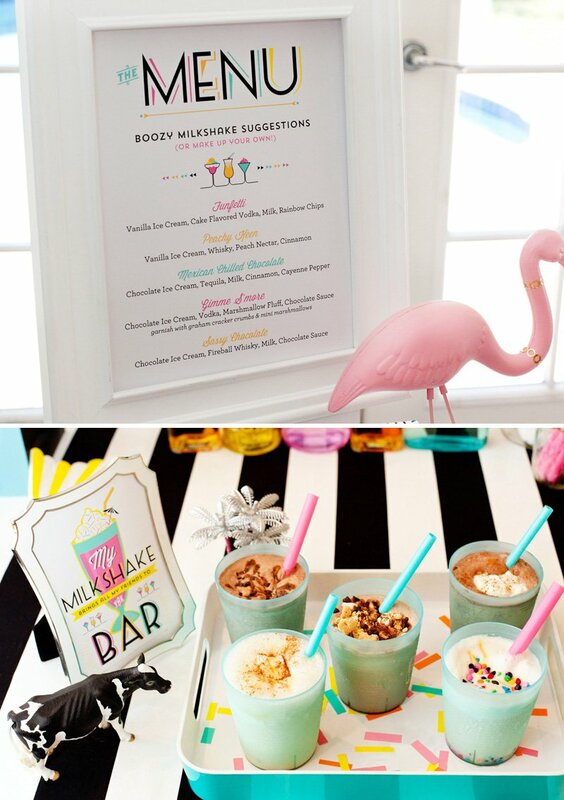 A Boozy Milkshakes Menu sat near the ice cream too, with a few suggested recipes for guests to try out when they’re looking for inspiration. Recipe suggestions included 2 vanilla-based options: Funfetti and Peachy Keen, plus 3 chocolate based options: Mexican Chilled Chocolate (as a playful twist on Mexican Hot Chocolate), Gimme S’more, and Sassy Chocolate. The SPIKE section of the table featured 5 different types of alcohol + milk, peach nectar, marshmallow fluff, and the necessary spices for the suggested recipes (cinnamon and cayenne pepper). 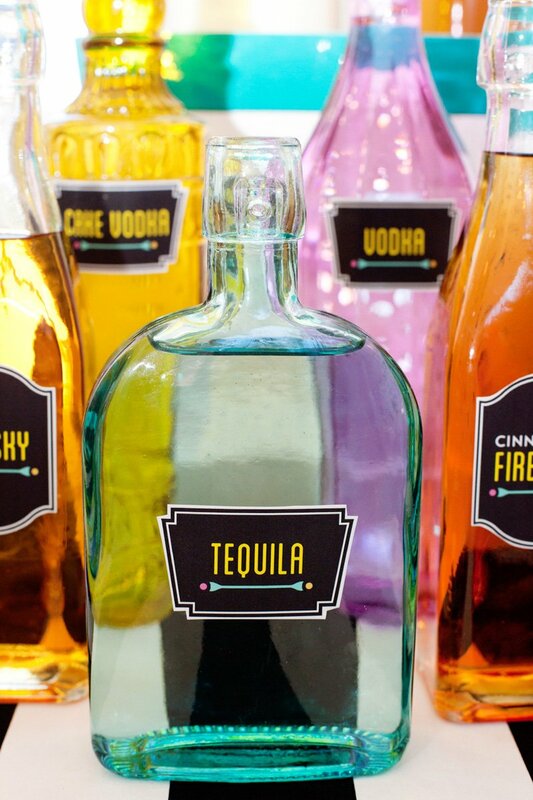 Liquor was served in pretty glass bottles (purchased at HomeGoods), along with custom labels so guests can easily tell what’s what. A few additional liquor options are included in the printable Liquor Labels sheet, too, in case you want to mix things up a bit on your own station! 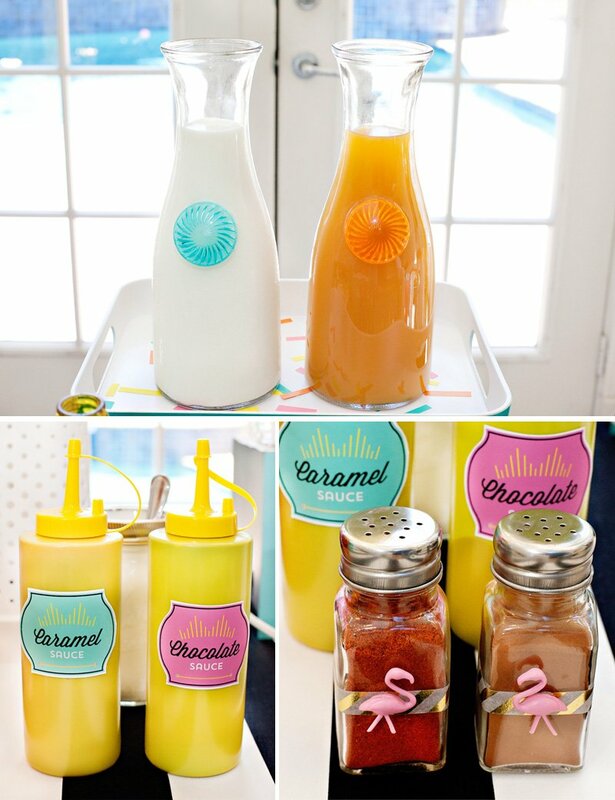 The BLEND section of the table featured a retro-looking drink mixer, milkshake spoons, and cups. You can of course use whatever blender you already have on hand – but this one was very affordable and fit into the retro vibe quite nicely! 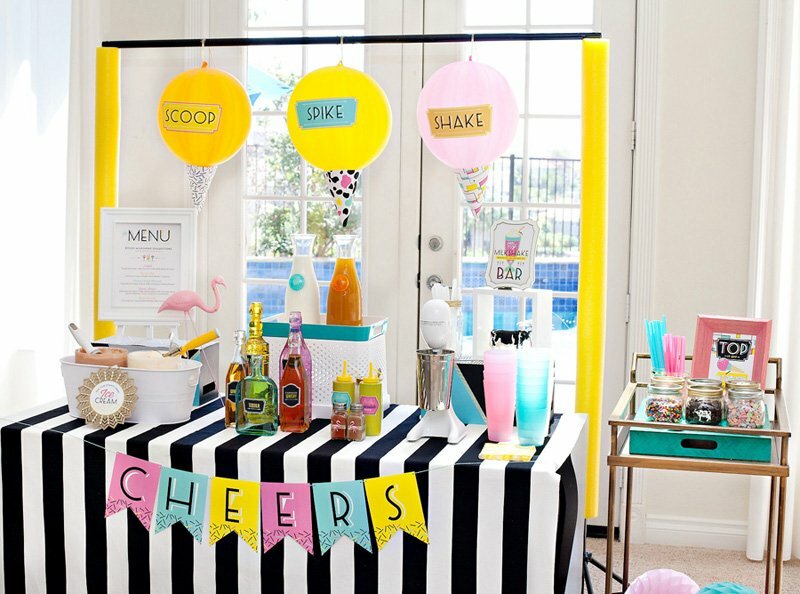 If your party is on the larger side, it’s a great idea to have blenders/mixers set up in more than one area + extra steel cups on hand. Last but not least, we can’t forget about the TOPPINGS! 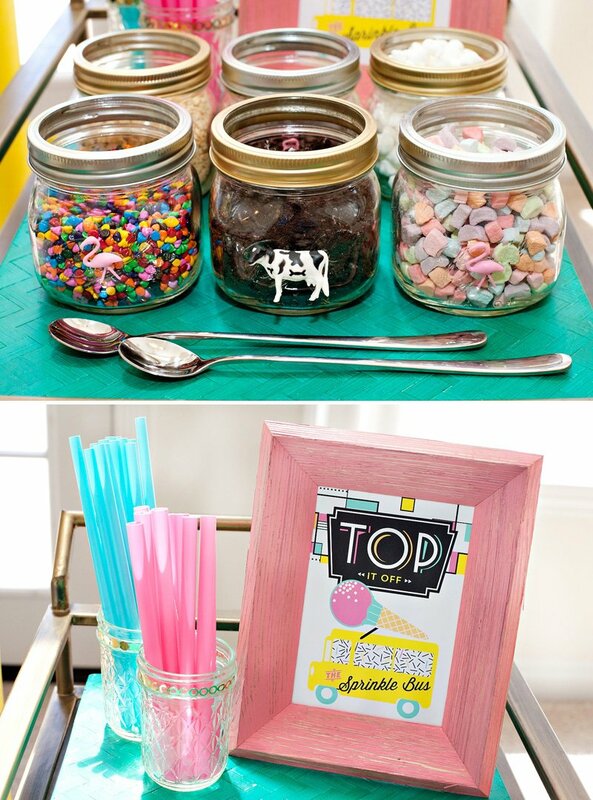 Serve fun garnishes like crushed sandwich cookies, mini marshmallows, rainbow sprinkles, and mini chocolate chips, and use wide mouth mason jars as stylish (& inexpensive) serving bowls. Since this station features hints of both silver and gold, I spray painted half of the (removable) mason jar rims gold, and hot glued flamingos and tiny cows to the front to make them more playful & on theme. 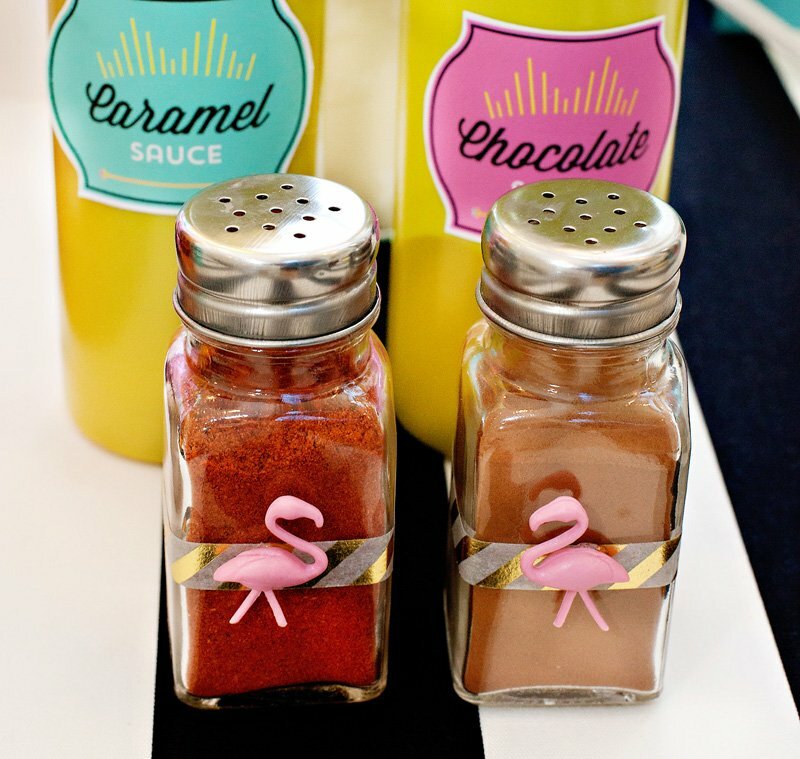 Your guests will appreciate outside-the-box details like this! 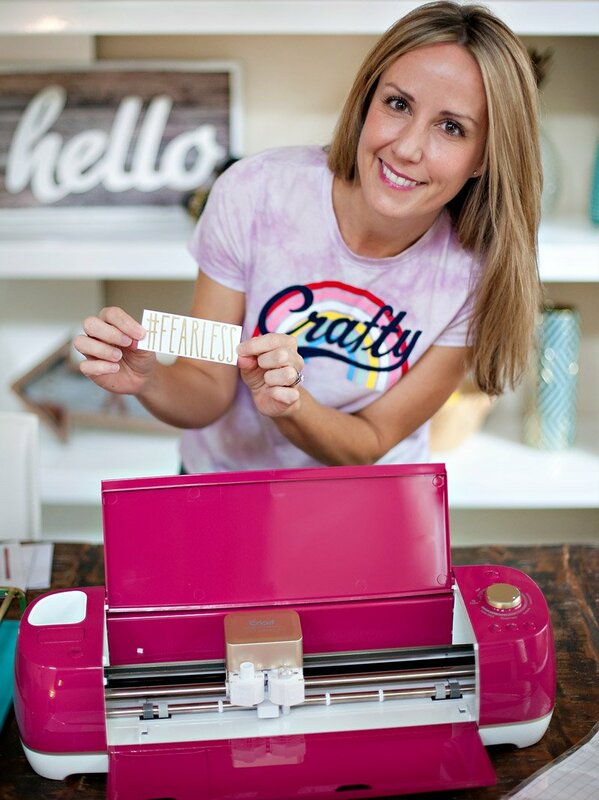 And on that note, don’t forget to download the printable Topping Station sign too. 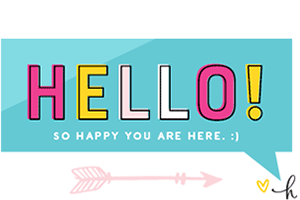 If you have any questions about this milkshake bar, please feel free to ask them in the comments section, and don’t forget to download the free printables below. CHEERS! This post is sponsored by California Milk Advisory Board. California dairy farms produce 20% of the entire nation’s dairy supply, and 99% of them are family-owned! Learn more about them here. Thank you for supporting the companies that make it possible for us to keep the creative content coming your way! 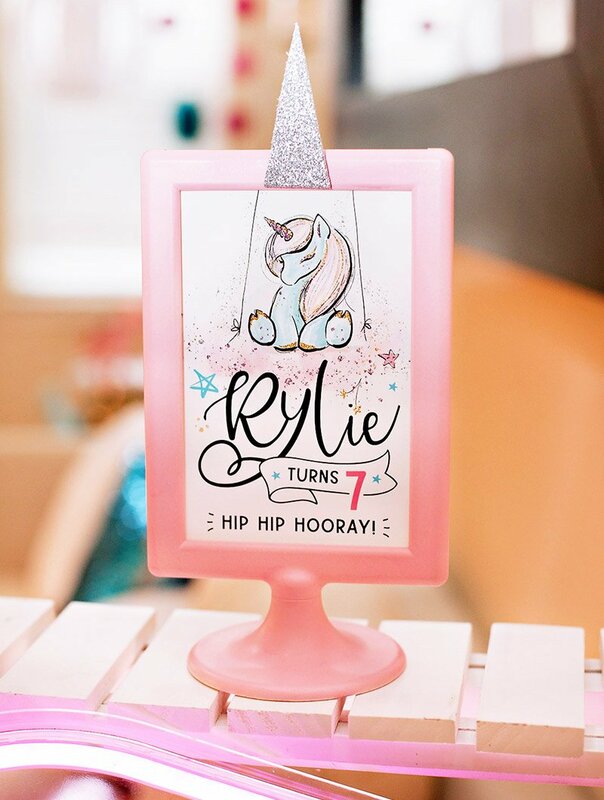 thank you alot for this free printable! 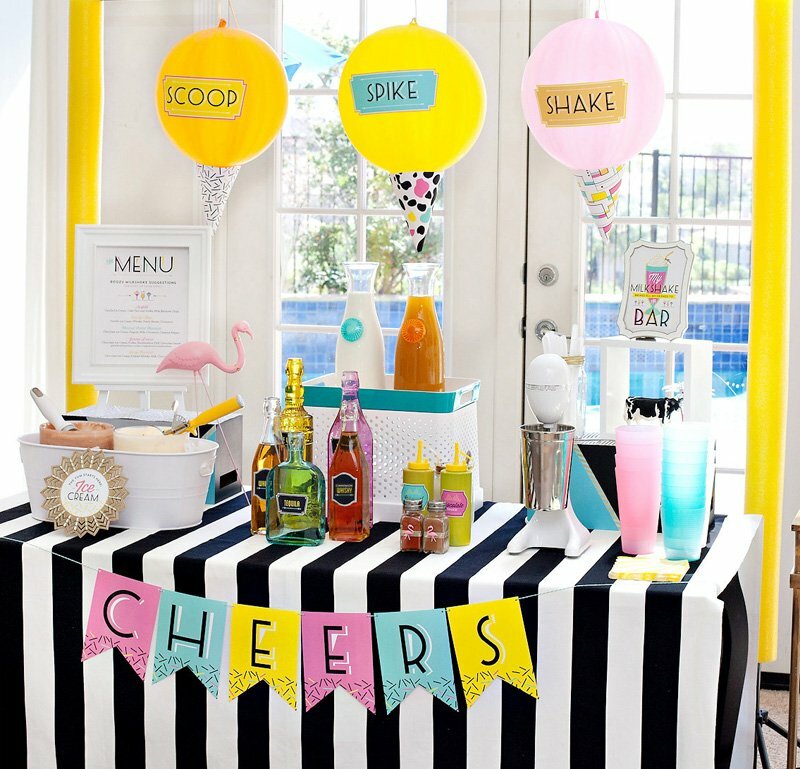 Your party table is adorable :) Love the pool noodle idea! 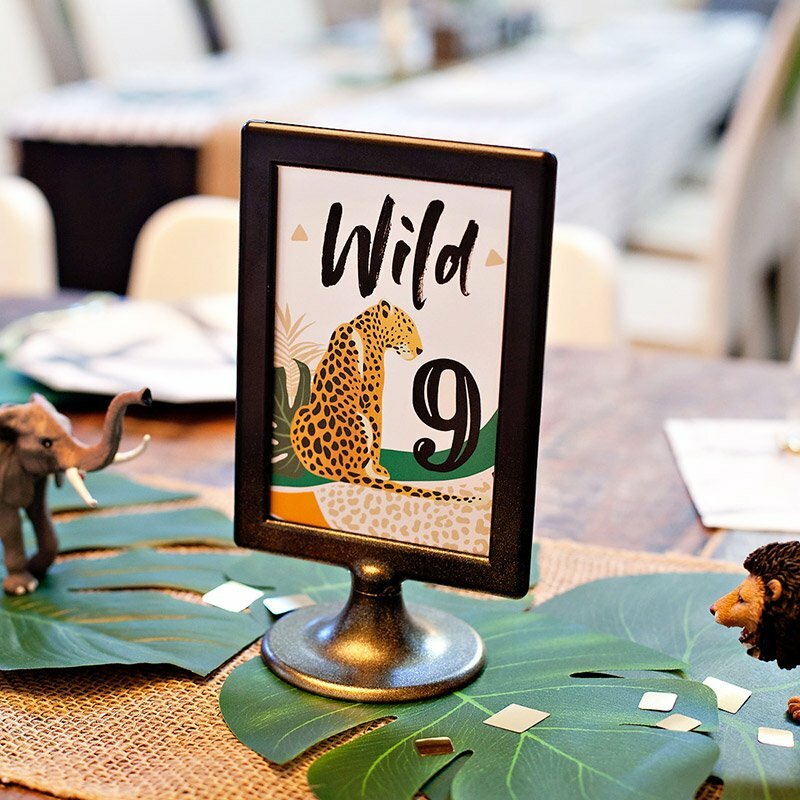 Absolutely love this party theme, and the fantastic decor! The bright colors and retro vibes make for such a fun, playful vibe. And its seems totally doable, maybe for a weekend get together. Thanks so much for sharing!